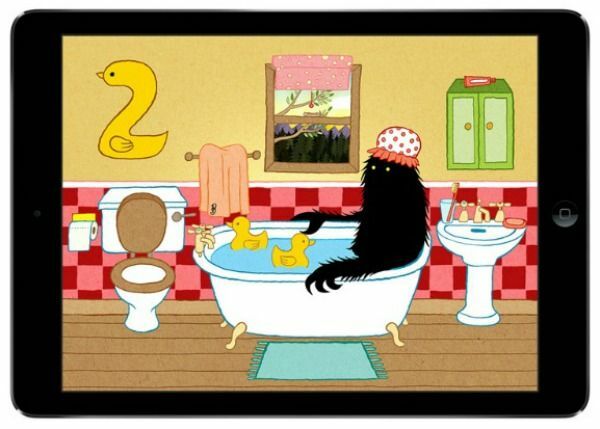 From the opening image of a sweet little home in the woods, you know that you’re in for some whimsical fun–and the Beast does not disappoint, counting everything in his house from the ducks in his bathtub (insert subtle fart humor here) to the flowers in his garden to the stars above his head as he sits quietly on his roof). 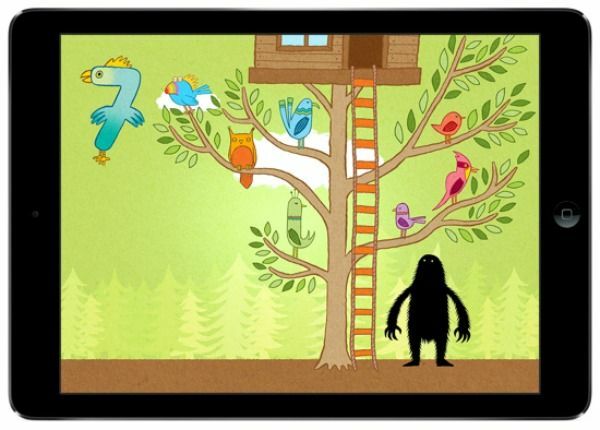 Young children will learn to count from 1 to 12 through these interactive flash cards, and perhaps a few other things; if your toddler touches the frying pan that the 4 eggs are sizzling in, the Beast will make an ouch sound; when one of the 7 birds poops on the Beast’s head, he makes a mildly aggravated grunt. Good lessons to learn in real life, right? 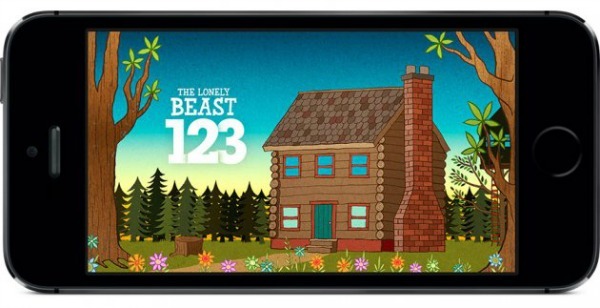 Find the Lonely Beast 123 counting app for iPhone and iPad on iTunes for $1.99.